SH: Tell us a little about your path in the “world of football” (when it started and where you are now). FT: My passion for the game (soccer) started since I was a baby. My whole family practiced at some point some kind of sports. My grandfather was a Olympic athlete in rowboat, my cousins played basketball, one of my cousin played also soccer (right now he’s in Poland, he’s also a coach). So I started playing when I was 5 until I was 17/18. I was never a Amazing Player, but I was always very curious about the tactical aspect of the game (positions/formations). When I was 23 I left Portugal and came to Canada (to be with my girlfriend, now my wife). Long story short, I have 2 kids and when my son started playing soccer (he was 18 months) I started going with him, and as he was growing up I could see that there was always something missing on the coaching that he was getting. Until one of the coaches started to getting me involved to help him in some practices, and that was the click that was missing. 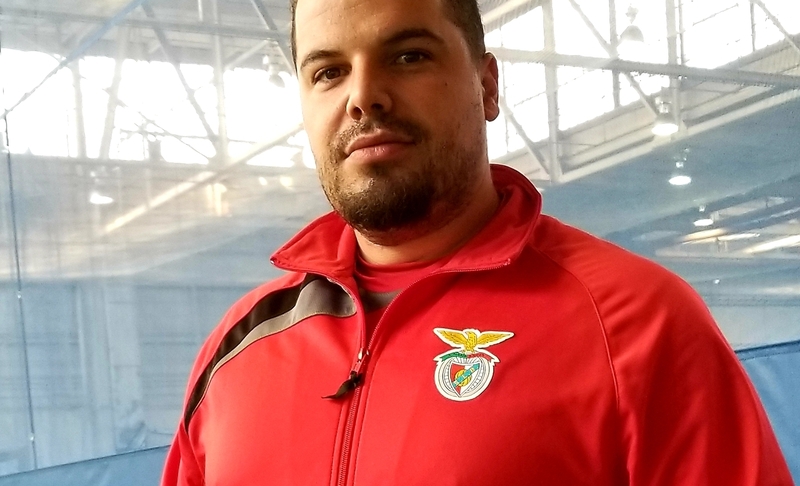 The season after I started coaching my son’s team, everybody loved it and they did amazing, and the next season the same, and the same… Until Benfica Academy in Toronto by the voice of João Oliveira (Technical Director) asked me if I would like to coach a team of U8, the answer was a “YES PLEASE”. Now I’m the Head coach of the U8 at Benfica Soccer School in Toronto. SH: What’s the reality of football like in Canada? FT: It’s totally different from Portugal. Here for everything you need paperwork, pay fees and they have rules (that sometimes don’t make sense). There’s lots of talented players here, but there’s no pathway (designed by the System) to be able to help this players getting to professional level. There’s 3 Canadian teams on MLS, Vancouver, Montreal and Toronto. Just in Ontario (province) there’s over half million players registered, how many you think will have a chance of getting to the high level? There’s some Canadian leagues, but it’s a system CLOSED, there’s no Pro-Rel (promotion-relegation) the teams buy the spot on the league and at the end of the season the results doesn’t really matter, the champion gets a trophy and that’s it nothing else happens (someway as NBA, NHL, NFL and NBL). That takes the competition away, and takes the change of young players/team climbing up the ladder. Another reality here is the development of the players is made by (not sure the exact numbers, but they should be pretty accurate) 80% volunteers coaches. The courses are expensive and require lot of time to complete them, and because the coaches don’t get paid, the development is made mostly of the time by parents. SH: What are the main challenges regarding training (young footballers)? FT: The biggest problem that we find here, is the mentality. The Canadians they have the mentality of hockey. 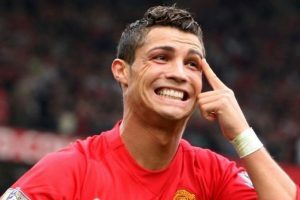 Soccer is a sport for “hockey off season”, that’s takes the commitment away, there’s no fidelity to soccer like in Europe or South America. Also the facilities, mostly of the teams they don’t own the facilities, they rent fields to practice and play. That increases the cost and sometimes kids don’t play sports because is cheaper buy a Playstation and leave the kids in the sofa, than bring the kids to play sports. Another thing that is hard to deal is that in the summer you may have a team playing 11v11, and in the winter the same team may have to play 9v9, for a coach that’s not easy to manager. SH: Which models are most used as a reference in day to day training? FT: In the Benfica Soccer School we use the Benfica methodology. Our kids practice the same way as the kids in Portugal. Of course every coach has a different style, and way of presenting the practices. But we use the same formations and we train the same way the principles of the game. SH: What are the main difficulties that you face daily? 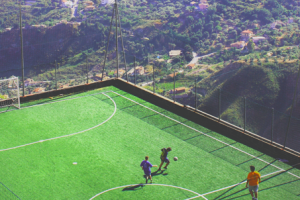 FT: One of the biggest challenges is the lack of soccer culture. I was raised going every weekend to the stadiums to watch live games. I used to know all the players, positions, the qualities and the weaknesses. Kids here watch hockey, or basketball. If they don’t watch soccer, sometimes is harder for them to understand certain messages that we try to pass. Another challenge is the fact of soccer being a “off-season” sport, we never know how many of those players we will have next season. The facilities is also a BIG challenge (like I mentioned before) the fact that we don’t own our training/games facilities. When that happens it will be different to work. SH: How would it be possible to improve the model/system of football in Canada? FT: This is a question that we can spend days talking about it. I like to use this example, if you have a hole in a Rug at home and you patch it, do you still have a new Rug? No, you have a Rug with a patch, it loses value. If you keep patching over and over again gets to the point that you don’t have a Rug anymore, you have patches. What do you need to do? Go to the store, look for a good one, pick color, style, design and check if it will fit in your house. Your pay for a item, but it will add value to your house. The system in Canada is like a Rug full of patches, the needs somebody with power and courage to “go shopping” for a new pathway on the whole LTPD (Long Term Player Development). Look around to the countries that are actually doing amazing work on youth ages, Portugal, Spain, Netherlands, Croatia, Belgium and England (they changed the pathway recently, it’s started to give results again). Canada wants the national team in the world cup, and in place to make the changes for that to happen, they decided to bid on the World Cup, really? Wrong approach to the problem. Get that bid money and invest on the grassroots. Another point is getting more qualified coaches and start paying them, that will increase the quality in soccer. A system that counts on volunteers will not succeed as a pro system. “If you fail to plan, you’re planning to fail”. SH: To what extent can solutions like Soccer Hub help in the process of developing football coaches and players? FT: Soccer HUB is a very important tool that can be used all-over the world. The webinar’s that you do are one amazing source of knowledge for all the coaches and even players. 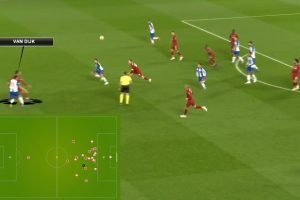 As a example, I’m trying to learn more about Big Data and video analysis, and not too long ago you add one webinar exactly about the Big Data vs Scouting (old fashion style). Also before that one you had João Nuno Fonseca (very talented) explaining about video analysing. So I got some information that I was looking for “out of the books” in actual conversation, because when you put info in the books you actually don’t “break” the information in a way that a conversation does. The courses here in Canada are not that specific as they should be, they are very “general idea”. For example, if they have to describe a house they will say, have 1 roof, 4 walls, some windows and a door. But I’m always looking for more information, I’m looking for what kind of foundation the house has, how deep and strong is the foundation? How many rooms are in the house, what’s the square footage of them? (this kind of questions)… I’m always looking for more and more information, and that’s how I found Soccer HUB. Keep doing the great job, and sharing your experience and knowledge. 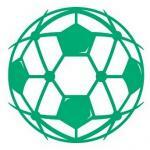 Soccer HUB Talks: Soccer Scouting - Scouting for Talent using BIG DATA?